Abstract: Enterprises don’t buy enterprise software very often. Selection consultants add significant value in ensuring an effective process is followed and the best selection is made; that is if the consultant is objective and focused on the client’s requirements. These seven points can help you determine just how objective a potential selection consultant will be for your project. Investigate your selection consultant candidates with these observations in mind. They tell you to skip the selection because their industry experience leads them to already know which package is the best fit for your requirements. I hope the flaws with this approach are obvious. The selection process is barely started, they may not have done much effort yet to nail down your requirements yet they “know” the answer. The questions you need to ask is how do they “know” and what is leading them to leap to a conclusion so quickly. They have a program and you can load your requirements in and it will spit out which package is best for the specifications you input. These mechanical approaches to software selection rely on accumulated lists of functions and features that frequently don’t represent the customer’s actual business. They are generic, broad, and not tailored and specific. Also, the interaction with users and the determination of where their pains are, where the needs are, what improvements are needed is completely missing from this programmatic approach. The human element, the interaction with users, the inclusion of their needs and issues at this very early stage are key to building user acceptance of the new system. The consultant’s methodology ends with the consultant recommending the solution or solutions. User adoption and buy in are foundational to the success of an ERP implementation. Empowering your own team to make this decision is critical to its success. Your folks need to visualize themselves utilizing the “new system” in the way the business is envisioned to operate with a new fully integrated ERP system with embedded best practices. Once armed with that vision, your employees are the most qualified to make this decision. Remember your own folks know your company better than any consultant ever will. In the absence of your staffs’ involvement and commitment to the decision that they help make, prepare yourself for long overruns in time and budget and diminished benefits as you reduce scope to bring the project back in line. The consultant has implementation practices focused on one or more ERP products. This conflict in objectivity is obvious. The selection consultant may in fact know these solutions that they help implement best, but they also have other portions of their business that they want to be successful. They have other staff, not directly involved in your project, that they would prefer to have this project make busy and billable in the next phase. Obviously, the selection consultant has a vested interest in making sure you select one of the products which they implement. Further, software providers not included in the consultants implementation practices are aware of the disadvantage they operate from in such a selection environment. This, typically, results in them either not putting forth their best efforts or actual refusal to participate in your selection at all. In the industry, we use the term “wired” to intimate that the solution has already been selected by the consultant. If you have any doubts about, this just ask any ERP sales person how often ERP selections are wired. The consultant seems to have recommended the same solution in many of their past engagements. Some selection consultants appear objective in that they don’t violate the cautions we have already listed but the reality is that they are not as objective as they appear to be. If they have selected the same one or two packages over several engagements that’s usually a clue to their bias. This is another flavor of the deal being “wired” for one product from the start. The consultant receives any form of invisible compensation from any of the participants. Yes, this still happens and more frequently than you might think. Consultants have arrangements with software providers and often are attempting to derive revenue either from the software sale or the services revenue. 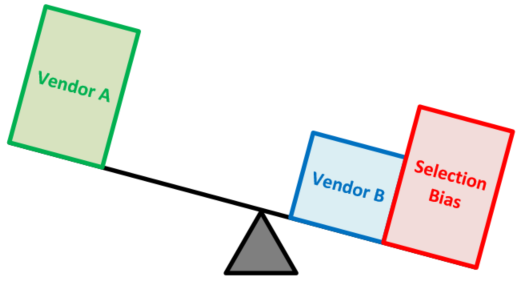 One clue this is happening is to look at the track records of selections and observe who gets what from whom; which vendor wins when a certain selection consultant is involved. How you prevent this is much easier then determining if it’s occurring, however. Simply have the consultant sign an affidavit when engaged, stating that they will receive no form of compensation from any of the solution providers considered or selected at any time before during or after your project. And yes, golf outings sponsored and paid for by the vendor are considered extraneous compensation. If you need a copy of such an affidavit, we’re happy to provide one as it’s standard with all our proposals. The selection consultant pushed hard at the onset of the selection engagement to manage the implementation services portion of the project (this is different than providing implementation oversight services). First off, there is no way a selection consultant can effectively manage implementation services without knowing the intricacies of the product. This level of expertise is often the purview of a system integrator or implementation services solution provider; thus, it is suggestive of a selection bias similar to having an implementation services practice within the consulting firm. Implementation oversight program management and risk management are valuable roles a selection consultant could effectively perform and this can yield huge benefits to avoid overruns and help insure project success. So, in choosing your selection consultant ensure their methodology is one of project facilitation and direction. The methodology needs to focus on a very deliberate path from discovery thru selection to contract negotiation. It needs to be completely unbiased and empowering of your staff to make the decisions required and to be responsible for managing your side of the implementation project. Buried in these seven reasons are serious considerations you should examine when contemplating a new ERP and selecting a consultant to help you with the software evaluation and selectin process. We discuss in our Six Steps to Success Methodology what a deliberate and focused selection methodology should contain. For more information about using a consultant to help with software selection, see our previous post titled The Smart Software Selection Consulting Decision.